"La Nueva Guatemala de la Asunción" is the official name of the city, it´s also the cultural, religious and business center of the country. 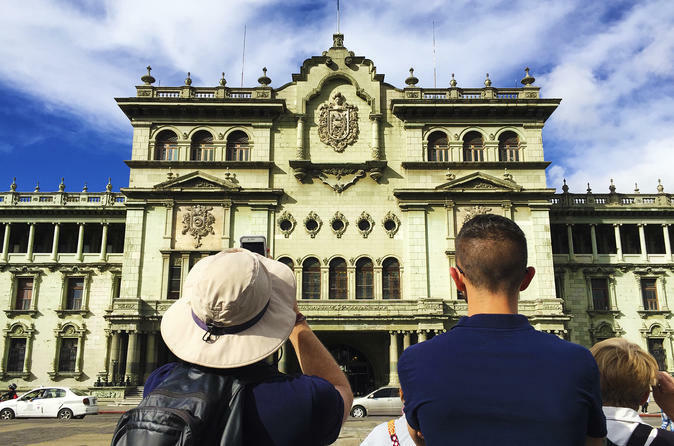 The metropolis is about 5 million people, has a panoramic contrast between the colonial architecture combined with modern buildings, important museums and historical monuments offers the visitors a unique experience. Your tour begins with the pick-up at the Guatemala City airport. First, we will visit Las Americas avenue, which is named after the reform drawn in the late nineteenth century, due to the formation of the Organization of American States on April 30th, 1948. The area comprising the Avenue of the Americas was demarcated in several farms in the early decade of the 50’s with the intention of dedicating land to the American continent. At the end of the tour transfer back to Guatemala City airport.